FoodForward SA and Pick n Pay partnered to unite a nation around Mandela Day, with the goal of raising enough food to help stock FoodForward SA’s warehouses across the country with staple foods during winter. The food drive ensures that the 600 Beneficiary Organisations we serve can continue to provide warm meals to the 250 000 people they feed daily. 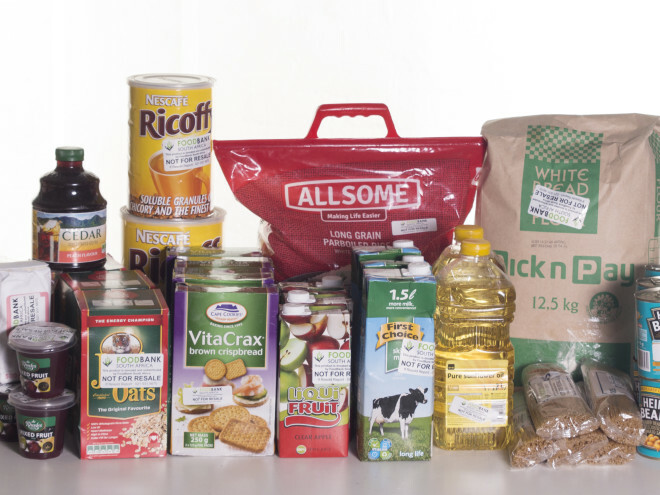 The FoodForward SA Mandela Day Food Drive was a national call to action for all South Africans to stand together and fight hunger by either purchasing basic food ingredients and / or volunteering. 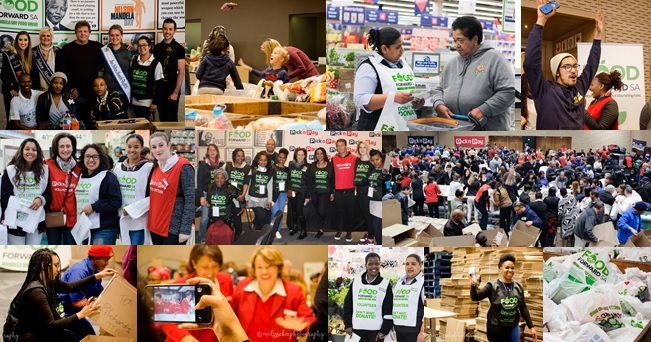 On behalf of hundreds of thousands of hungry South Africans, we want to thank everyone who stood together to fight hunger at the FoodForward SA Mandela Day Food Drive by either volunteering their time in Pick n Pay stores encouraging shoppers to buy and donate food or donating their time to sort and pack the food for our 600 Beneficiary Organisations. 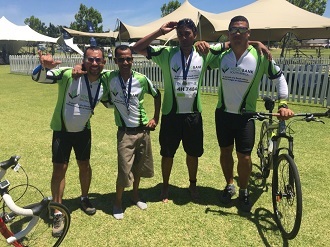 “You made a lasting difference and we are inspired by your spirit of volunteerism”, says Andy Du Plessis, FoodForward SA’s Managing Director. Through this food drive, in partnership with Pick n Pay, we collected 130 tons of nutritious food. Thank you so much to all those who bought and donated food in store and online. “We want to thank the generous people of South Africa and Pick n Pay for the overwhelming support for our Mandela Day Food Drive. Together we collected 130 tons of food from Pick n Pay stores and over 5 000 volunteers sorted and packed the food across the country, during their 67 minutes. Thank you to everyone who supported this campaign and made it an overwhelming success. The true spirit of nation building and unity was in action and this action will help FoodForward SA address hunger in South Africa in an even more meaningful way, as so much nutritious food will reach the 250 000 people our beneficiary organisations feed every day ”, says Andy Du Plessis, FoodForward SA’s Managing Director. We wish to thank all partners for their generosity and support, which not only directly benefits thousands of people, but also creates much needed awareness of the work that we do. You enabled us to make this Mandela Day food drive a great success. FoodForward SA works to address the problem of food insecurity in South Africa and with more companies getting involved, we will surely be able to make a much bigger impact. FoodForward SA would also like to thank photographers Melissa Richards, Melissa Marthez, Zandri Weitz and Alex Lambley for dedicating their time to capturing Mandela Day activities. Through this initiative we hope that individuals taking part in this event are inspired to continue to make a difference, and be an ambassador for FoodForward SA and the work that we do. Visit www.foodforwardsa.org for more information about how to get involved. Again, thank you for being the change that South Africa needs.